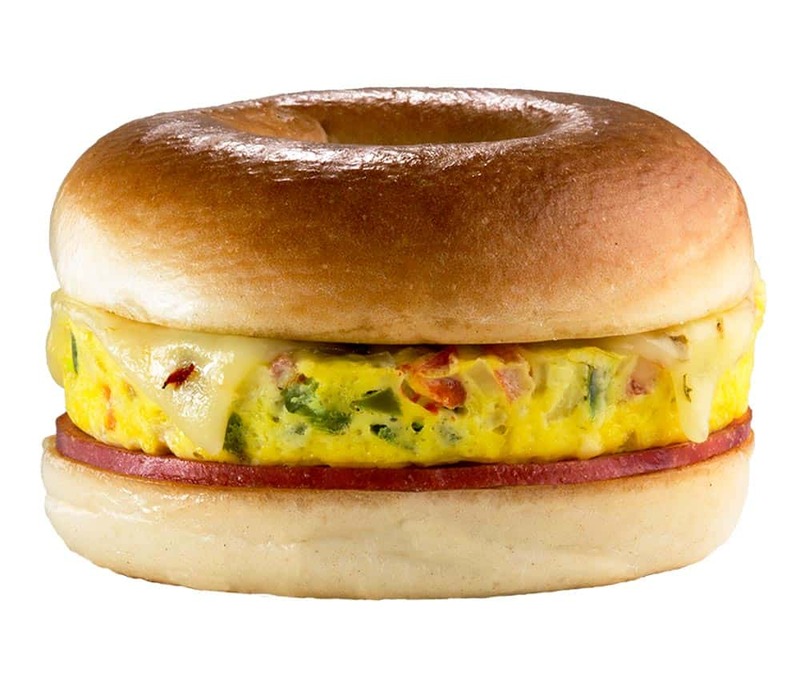 If you are looking to spice up your breakfast routine, the Spanish Bagel Omelette is the perfect way to go! It is made with fresh eggs, tomatoes, onions, pepper jack cheese, jalapeños, and a sausage patty, bacon or a full slice of ham – all from Braum’s Fresh Market. Then, it is all placed on a toasted plain or everything bagel. Packed with flavor and the best breakfast ingredients around.